Ely Area Concert Association Welcomes You! Scroll down to see what's coming up in 2019-2020! 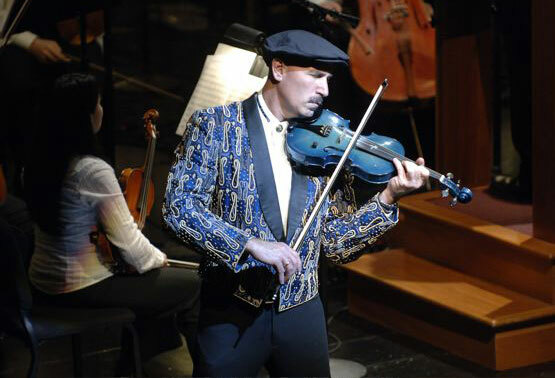 Douglas Cameron, violinist, vocalist, guitarist, songwriter, is the featured performer in this exciting duo with pianist. He has recorded and performed with a wide range of artists, including George Benson, Doc Severinsen, Cher, Dionne Warwick, and Tony Bennett to name a few. He is a master violinist, but plays cool jazz versions of some favorite songs. length John Denver tribute concerts. Now, some 20 years later, Take Me Home – The Music of John Denver – Starring Jim Curry is the most sought after tribute show going. His natural voice, his natural look, the sound of the band, all create a remarkable memory of the original. Rocky Mountain High, Annie’s Song, Eagles & Horses, Thank God I’m A Country Boy, Country Roads, Calypso and many other classics are all there. View a video. Take George Winston, Victor Borge, Schroeder from Peanuts, and Beethoven on steroids. Throw in blender. Mix well and Serve. An Evening of Piano with Jason Farnham delights audiences around the U.S., again and again. Fans have affectionately dubbed him “Schroeder” from Peanuts because of his toy piano, his witty Victor Borge-style piano comedy antics and the clever way he interacts with the audience. The variety includes contemporary romantic piano, jazz, bossa nova, blues, stride piano, and classical with a modern twist! Jason is always looking for an interesting spin on the status quo, a way to take a classic and turn it on its ear. View a video. 2017 JUNO nominees and SiriusXM winners Sultans of String, thrill their audiences with their genre-hopping passport of Celtic reels, flamenco, Gypsy-jazz, Arabic, Cuban, and South Asian rhythms. Sultans of String celebrate musical fusion and human creativity with warmth and virtuosity. Acoustic strings meet with electronic wizardry to create layers and depth of sound, while world rhythms excite audiences to their feet with the irresistible need to dance. View a video. This husband and wife (guitar/vocal) duo put on a vintage and inspired show that blends blues, swing, country and Latin sounds. Performing hits from the roaring 20’s to modern classics and originals, Sundae & Mr. Goessl utilize technique, technology and unique instrumentation to give this little band it’s big sound. Mr. Goessl’s mesmerizing finger-style guitar dazzles and inspires while Sundae’s sultry vocal interpretations drip with charm and nostalgia. Combined with a quirky and humorous onstage demeanor, Sundae & Mr. Goessl take audiences on a fun and familiar ride through vintage and classic jazz standards. View a video.